With many brick-and-mortar retail chains struggling to keep up with the growing popularity of online shopping, it's no surprise that stores are closing now more than ever. Powerhouse e-commerce sites like Amazon have completely dominated the retail landscape forcing many once-prominent stores to close their doors for good. In 2017 alone, major retailers such as Radio Shack, Wet Seal, Payless and Perfumania announced they'd be filing for bankruptcy along with closing most, if not all, of their stores. 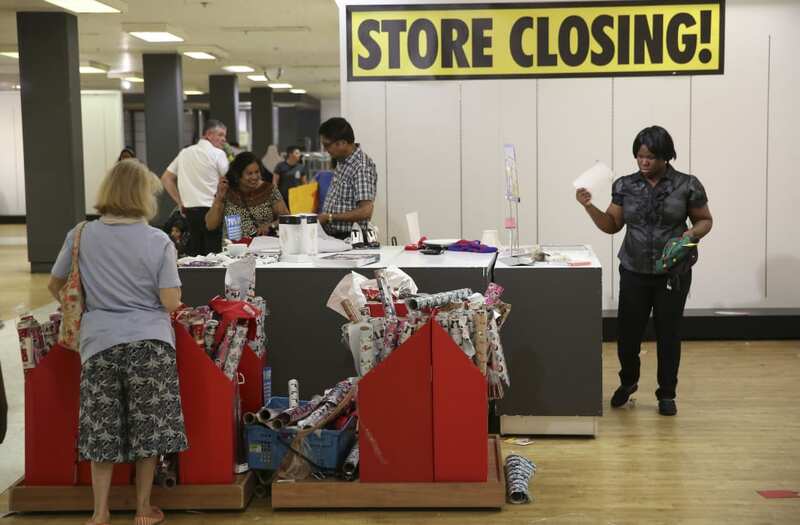 "Last year was an all-time record in store closings with about 7,000 store closures. That's up more than 200% from a year ago," says Fabienne T. Cadet, Ph.D., assistant professor of marketing at St. John's University's Peter J. Tobin College of Business. And 2018 seems to be keeping on trend with the 'retail apocalypse' as Toys R Us and Foot Locker also announced hundreds of store closures throughout the U.S. While store closures may indicate a troubling sign for the retail industry, they can potentially benefit consumers if they know a few retail tricks to look out for. According to DealNews, during a liquidation sale, items are sometimes marked up before they're discounted -- and the best-selling products will be gone before they hit 50 percent off. But Julie Ramhold, Consumer Analyst with DealNews, reveals some items like power tools could be greatly discounted from the start due to their initial low-margin. Ramhold also suggests shoppers avoid purchasing anything that 'looks questionable.' She explains 'broken or battered' packaging may be the result of a damaged item, and because most items will likely be final sale, it might not be worth the risk. Ramhold further explains that a general rule to approach store closing sales is to always be skeptical. Many larger stores inflate prices by raising them to the MSRP and then taking a paltry discount. And smaller stores often take the discount off the regular retail price. In short, it's important to weigh your options when deciding to shop a store closing sale. While some sales may seem like a great deal, if you do your research, you may find out otherwise.